➽ Khai Vietnamese, Autistic, Michael's cousin from The Kiss Quotient, living in California, and completely happy being on his own, especially after losing someone very close to him when he was younger. Even though that loss has made him think that he is incapable of love. 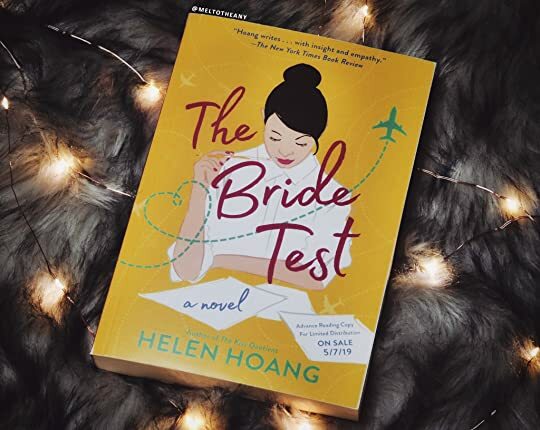 ➽ Esme - Biracial (Vietnamese and white), living in Vietnam as a cleaning woman, when Khai’s mom travels there to try to see if she can find a woman who would be compatible with her son. And Esme accepts because she is a single mom, living in poverty with her own mother and grandmother, and she thinks this is an opportunity to give them and herself a better life. Khai’s mother promises her a summer in California, where she can see if she can make Khai fall in love with her and marry her, but if not, she will return back to her family. 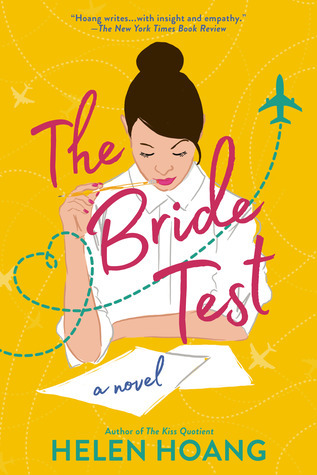 Sign into Goodreads to see if any of your friends have read The Bride Test. 62.5% "All I want in this life is for Quan to get his own book! 💗"
Update us if it's good!! I'm so jealous !!! Argh enjoy! The jealousy is real! Hope you enjoy! melanie how do you read so many books?are you a speed reader? TKQ was really good and I was hoping for this one to be the same. Sad to learn that it's not! Chelsea wrote: "blessings on blessings <3"
Christy wrote: "YAS!!!! Me, too girl!" Beatrice wrote: "Update us if it's good!!" Flinn wrote: "I'm so jealous !!! Argh enjoy!" elizabeth • paper ghosts wrote: "The jealousy is real! Hope you enjoy!" Tucker wrote: "I would say I'm jealous but I can see that's already been well covered! Happy reading, friend! 💕"
Jackie wrote: "melanie how do you read so many books?are you a speed reader?" julianna ➹ wrote: "hey I LOVE you also I totally forgot to start this four days ago, so I'll just read the whole thing today lmaoo"
Seema wrote: "Have heard many disappointing reviews"
Alex ✰ Comets and Comments ✰ wrote: "Sorry you didn't love it as much as the first, bub <3 Looking forward to your review x"
Mary wrote: "Super excited for this one! I adored the Kiss Quotient and I'm so glad to see this one is also great :D"
Ashoora wrote: "TKQ was really good and I was hoping for this one to be the same. Sad to learn that it's not!" I think I was able to love as much as I did because I actually read this ARC before The Kiss Quotient and I'm kinda glad for that so I didn't have anything to compare to. Great review. Loved the first book in the series but was super not into the idea of literally buying a person and the whole power imbalance, but i'll give it a go. Just got this in the mail today!! (That huge Berkely package came) Btw, do you have to read KQ to understand this one?